Delsey 50mm diameter Swivel Case Wheel. The left or right wheel must be selected from the drop down menu. 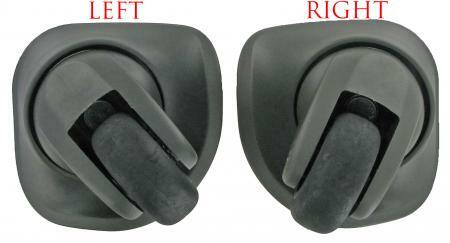 Please examine the picture very carefully, as the difference between right and left hand wheel is not very apparent. Look particularly at the depth of the 'groove' between the inner and outer edges of the housing.